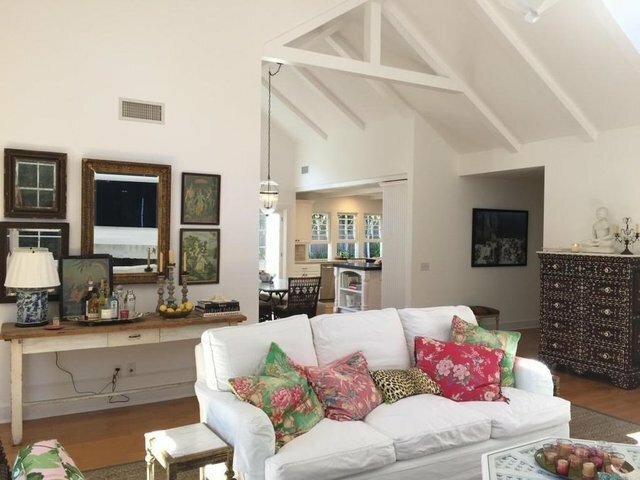 Fall in love with this absolutely gorgeous, fully furnished rental in Montecito -- available end of April 2019. This spacious, light-filled 3-bedroom home is simply delightful, a real gem with fantastic flow, soaring ceilings, tasteful decor, meticulous attention to detail and designer touches throughout. Includes formal dining room, family room, and an office that can be used as a fourth sleeping area. Set back off the street, the home has a gated entry garden, beautiful landscaping, outdoor dining area, BBQ, and private yard where you can relax and enjoy your Montecito stay. Parking: a two car garage plus 3 uncovered spaces. Rent by the month or year, utilities included. Not in red zone per Dec 2018 map. Sorry, but absolutely no pets accepted. Treat yourself to very special home!